How are Travel Plans in Germany Affected by Climate Change? Claudia Schwirplies and Andreas Ziegler (2016) examine the effects of climate change on German tourism and the demand on the tourism market. For example, climate change can lead to higher temperatures and may threaten the attractiveness of certain holiday attractions. To make holiday activities more diverse, investors must shift where they put their money. However, this will result in multiple costs to the investment sector. Overall, Schwirplies and Ziegler seek to improve the comprehension of the multiple effects and defects of adaptation to climate change and tourism by conducting a study examining the German population’s travel habits. 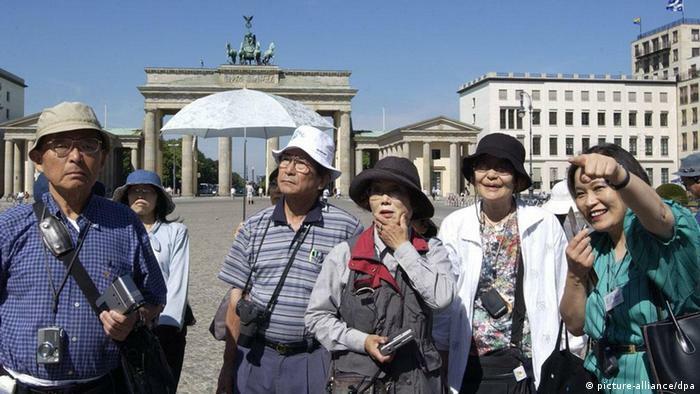 The study mainly targeted German tourists, and it strongly confirmed the first hypothesis. German tourists who were previously exposed to severe weather events caused by climate change (heat waves, heavy rain, floods, etc.) were more likely to change their travel plans. The second hypothesis, however, could not be confirmed. Some indicators for risk aversion such as taking risks concerning financial investments and health were found not to be correlated with tourism-related adaptation. The third hypothesis could not be confirmed either. Having many children less than 18 years of age is negatively correlated with choosing certain travel times and positively correlated with a lack of desire to travel. Though it can be said that having multiple children is an indicator for health risk due to climate change, it could also mean that these families do not have as many opportunities to travel. As for the last hypothesis, the results were slightly ambiguous. There are many factors such as the amount of income that the tourists make that may alter the data. Because they have the funds to travel, their travel plans may not be entirely swayed by the effects of climate change. However, this higher income may also allow them to choose other travel destinations, so it is hard to confirm the last hypothesis. The results of this study reveal that future demand shifts in the tourism industry can lead to massive impacts to regional economies. This shift in demand could create more economic problems for some countries such as Spain and Greece. While only the first hypothesis was confirmed from this study, Schwirplies and Ziegler conclude that they need more specific information about tourism-related adaptation to climate change to make more specific deductions regarding their four hypotheses. This entry was posted in Chris Choi, Tourism and tagged Andreas Ziegler, Claudia Schwirplies, Climate change, Germany, Travel habits, University of Hamburg Germany, University of Kassel by Emil Morhardt. Bookmark the permalink.